26/08/16 -- EU grains closed mostly lower. London wheat was lower on the back of a slight improvement in sterling. At the close Nov 16 London wheat was down GBP0.95/tonne at GBP125.75/tonne, Sep 16 Paris wheat was EUR1.50/tonne lower to EUR158.50/tonne, Nov 16 Paris corn was down EUR1.25/tonne at EUR164.25/tonne, Nov 16 Paris rapeseed was EUR1.25/tonne weaker at EUR374.25/tonne. 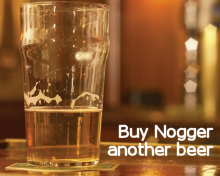 For the week that puts London wheat GBP6.25/tonne weaker (-4.7%), Paris wheat down EUR4.25/tonne (-2.6%), corn down EUR2.50/tonne (-1.5%) and rapeseed EUR3.75/tonne (-1%) easier. There's been some sterling strength in evidence this week, which explains why London wheat fared the worst compared with last Friday. There's also probably the factor at play that it there's going to be a shortage of any type of wheat this season then it's going to be quality milling wheat not feed wheat. Egypt's GASC bought 180,000 MT of Russian wheat for Sep 21-30 shipment in their tender. There's some talk that they may need to devalue the Egyptian pound, and seek financial help from the IMF as they only have sufficient cash reserves to cover 3 months of imports. Russia's wheat harvest was placed at 70 MMT (up from 61 MMT a year ago) yesterday by the IGC. Others have it even higher. Harvesting so far (62% complete) has brought in a crop of over 60 MMT, and in excess of 16 MMT of barley. They look like making up for the vast majority of any French shortfall this year on their own. The IGC estimate world 2016/17 wheat production at an all time high 743 MMT, up 8 MMT from last month and 7 MMT above the previous 2015/16 record. Consumption is only seen at 732 MMT, with ending stocks rising by 12 MMT from last season to a highest ever 229 MMT. It's particularly unfortunate for wheat that this year also brings along a record world corn crop (forecast at 1069 MMT by the IGC). Ending stocks for corn are also seen sharply higher year-on-year. It's going to be tough to rally much from here with global stocks at such lofty levels. If you want UK wheat prices up then further sterling depreciation is your best hope, but London wheat hasn't even had that crutch to lean on this week. 25/08/16 -- Soycomplex: Beans crashed lower despite solid weekly export sales. These came in at 115,100 MT for old crop and 1,939,600 MT for new crop - primarily for China (1,001,000 MT) and unknown destinations (771,000 MT). That was well above trade expectations. Reports from the ProFarmer crop tour showed better pod counts for IL and western IA, indicating bumper production there. The IGC estimated world soybean production at 325 MMT vs 321 MMT last month and 316 MMT last year. A Bloomberg survey into trader/analyst sentiment on beans found 6 bulls, 12 bears and 8 neutrals. More rains are due for the central and southern part of the soy belt the next 7 days. The trade continues to see the rains as beneficial for grain fill. Sep 16 Soybeans settled at $9.98 1/4, down 32 1/2 cents; Nov 16 Soybeans settled at $9.75 1/2, down 29 3/4 cents; Sep 16 Soybean Meal settled at $324.30, down $7.20; Sep 16 Soybean Oil settled at 32.91, down 66 points. Corn: The market closed around 4 cents lower. Weekly export sales of 71,100 MT for 2015/16 were a marketing-year low, but then again there are only a few weeks left in that campaign. 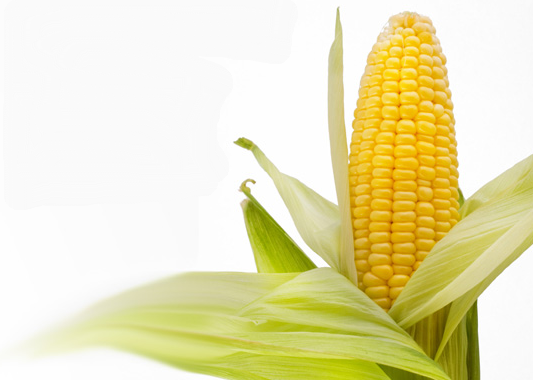 Sales of 1,059,900 MT were reported on new crop corn. The Buenos Aires Grain Exchange estimates Argentine corn harvest 93% complete. The IGC estimated the world corn crop at 1030 MMT vs 1017 MMT last month and 969 MMT last year. A Bloomberg survey into trader/analyst sentiment on corn found 5 bulls, 8 bears and 13 neutrals. China shifted 0.5 MMT of the 3.2 MMT of corn on offer at their latest corn auction. The ProFarmer crop tour is getting close to wrapping up its crop findings for the year. They are generally below the USDA on corn yields, and this year is expected to be no exception. Current guesses are 169-172 bpa vs the USDA's recent 175.1 bpa. Sep 16 Corn settled at $3.23 1/2, down 4 cents; Dec 16 Corn settled at $3.32, down 4 1/4 cents. Wheat: The wheat market closed around 2-4 cents lower. Weekly export sales came in at 379,700 MT for 2016/17 - down 22 percent from the previous week and 21 percent from the prior 4-week average. Exports of 564,000 MT were down 21 percent from the previous week, but unchanged from the prior 4-week average. The primary destinations were Indonesia (83,200 MT), Taiwan (56,900 MT), Colombia (56,600 MT), Chile (46,800 MT) and Venezuela (41,000 MT). A Bloomberg survey into trader/analyst sentiment on wheat found 3 bulls, 13 bears and 10 neutrals. The Russian wheat crop keeps getting larger with SovEcon raising their estimate to 73 MMT. The French wheat harvest is officially over, and despite their production problems Nord Cereales have suspended delivery into their Dunkirk silo due to lack of available space. The IGC raised world wheat production to 743 MMT, up from 735 MMT last month. Sep 16 CBOT Wheat settled at $4.01 1/4, down 2 3/4 cents; Sep 16 KCBT Wheat settled at $4.05 1/2, down 2 1/4 cents; Sep 16 MGEX Wheat settled at $4.97 3/4, down 4 cents. 25/08/16 -- EU grains finished mostly lower again. 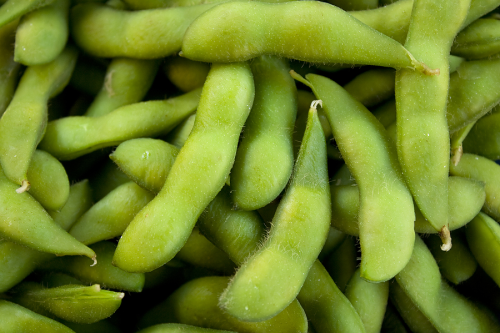 Chicago markets came in weak, with soybeans slipping below key support at $10/bushel, pressuring rapeseed. The day ended with Nov 16 London down GBP0.95/tonne at GBP126.70/tonne, Sep 16 Paris wheat was EUR1.50/tonne firmer at EUR160.00/tonne, although the deferred months were mostly lower. Nov 16 corn was down EUR0.50/tonne at EUR165.50/tonne and Nov 16 rapeseed crashed EUR3.25/tonne to EUR375.50/tonne. News from Defra that English wheat stocks as at the end of 2015/16 were an all-time high 2.7 MMT leaned bearish. Whilst not exactly a surprise, confirmation that last season's carryout was 34% higher than the previous year was bad news for the bulls, especially amidst the news that this season's harvest is throwing up some better than feared results. 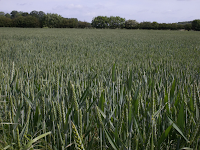 The UK winter wheat harvest is 60% done, say the HGCA. They left yield estimates unchanged at 7.8-8.0 MT/ha, in line with the 5-year average 7.9 MT/ha. "In the Eastern region, early wheat yields are typically just above the farm average. In contrast, in the Midlands, South East, Scotland and Wales yields are typically just below (1-3%) the average. In other regions, yields are around the farm average," they said. Winter barley is 99% done, and 35% of the spring barley crop is now in the bin along with 50% of the oat harvest and 97% of the winter OSR. More bearish news came from the announcement that Nord Cereales were suspending the delivery of wheat into their futures silo in Dunkirk from 29 Aug.
Brussels announced that they'd authorised 452 TMT worth of soft wheat export licences this past week. That brings the total so far this campaign to 4.0 MMT. Some 80,000 MT worth of barley exports were also approved taking the YTD total to 975,000 MT. SovEcon raised their forecast for this year's Russian wheat harvest to 73 MMT versus 71.3 MMT previously and 68.3 MMT a year ago. FranceAgriMer said that the 2016 French wheat and spring barley harvests were finished. Algeria said that it's 2016 harvest would be down around 40% after the worst drought in decades. 24/08/16 -- Soycomplex: Beans closed lower on a lack of (bullish) news. There were no daily export sales announcements today, and the dollar traded firmer, adding a negative tone to trading. Crude oil also traded weaker. Results from the Pro Farmer tour indicate better yield potential for NE and IN than they have seen so far. Sep 16 Soybeans closed at $10.30 134, down 3 1/2 cents; Nov 16 Soybeans closed at $10.05 1/4, down 8 1/4 cents; Sep 16 Soybean Meal closed at $331.50, down $0.90; Sep 16 Soybean Oil closed at 33.57, down 32 points. Corn: Corn closed a little lower. Weekly US ethanol production came in at a close to record 1.028 million barrels per day last week. As with beans as the ProFarmer crop tour progresses better yield potential is being unearthed. IMEA report that 4.2% of the Mato Grosso, Brazil, corn acreage has been abandoned due to hot and dry conditions. Sep 16 Corn closed at $3.27 1/2, down 1 cent; Dec 16 Corn closed at $3.36 1/4, down 1 cent. Wheat: Wheat closed mostly lower, with Chicago wheat hitting fresh contract lows. Bullish news is lacking, save for the demise of the French crop, but that is old hat now. There's no shortage elsewhere as Stats Canada helped point out yesterday. The Russian Ag Ministry said that this year's harvest was 59.1% complete at 86.9 MMT. That includes 58.9 MMT of wheat off 62.6% of the planned area, along with 15.2 MMT of barley (73% of plan). Sep 16 CBOT Wheat closed at $4.04, down 3 3/4 cents; Sep 16 KCBT Wheat closed at $4.07 3/4, up 1/2 cent; Sep 16 MGEX Wheat closed at $5.01 3/4, down 8 cents. 24/08/16 -- EU grains closed mostly higher on the day except for London wheat which was lower on the back of an improved sterling. The day ended with benchmark Nov 16 GBP0.85/tonne lower at GBP127.65/tonne. Sep 16 Paris wheat traded EUR2.50/tonne higher at EUR158.50/tonne, Nov 16 corn was up EUR1.25/tonne at EUR166.00/tonne and Nov 16 Paris rapeseed was EUR0.75/tonne higher at EUR378.78/tonne. The pound closed above 1.32 vs the US dollar and 1.17 compared to the euro tonight. Now that he rain has gone away, the UK harvest can restart in earnest. 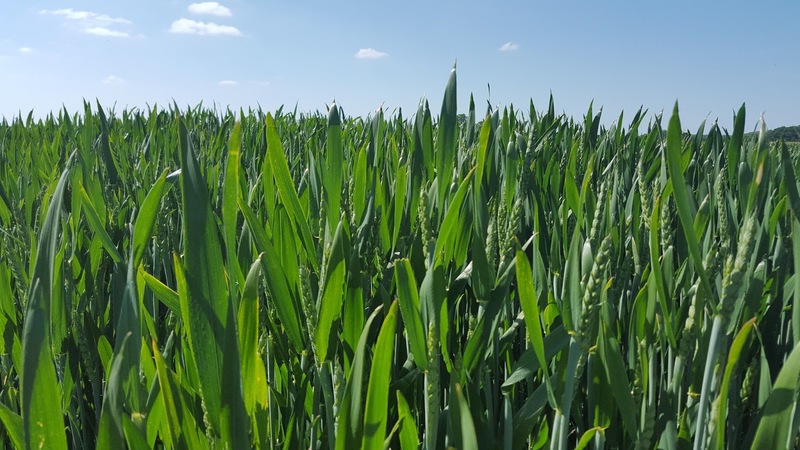 "Wheat quality so far looks promising and with more milling type varieties in the mix, it is likely that the UK wheat crop can be of more use to the domestic miller, as well as the export customer, " says the HGCA's Jack Watts. "If this is the case, and with support from weaker sterling, there could be less need to import milling wheat this season (2016/17). Looking at this ambitiously, we might hope that UK wheat imports fall below 1 MMT – for the first time since 2011/12," he adds. The lowest offer in yesterday's Egyptian tender was Ukraine wheat at $171.10/tonne FOB (sterling equivalent GBP129.62/tonne), which is still far more competitive than anything the UK could put together - weak sterling or not. All 11 offers in that were from the Black Sea. In other news, Russia said that they'd exported 3.63 MMT of grains this season so far (to Aug 18), a 4% drop on this time a year ago. That includes 2.98 MMT of wheat, 589 TMT of barley and 39 TMT of corn. The Russian Ag Ministry said that this year's harvest was 59.1% complete at 86.9 MMT. That includes 58.9 MMT of wheat off 62.6% of the planned area, along with 15.2 MMT of barley (73% of plan). Syria postponed their tender for 1 MMT of Russian wheat and Jordan made no purchase in their 100,000 MT feed barley tender. 23/08/16 -- Soycomplex: Soybeans closed with small losses, but nothing significant. Strong underlying support is seen at the sub-$10/bushel mark. 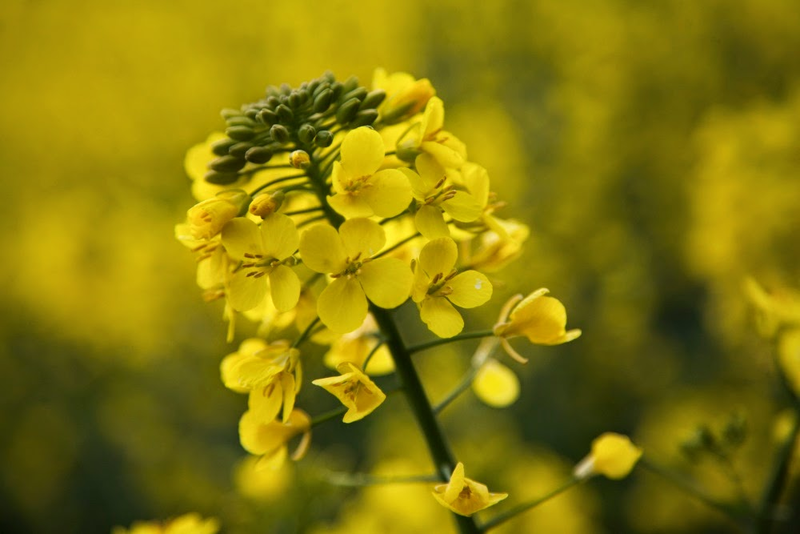 Stats Canada estimated the 2016 Canadian canola crop at 17 MMT, around 1 MMT below trade estimations keeping oilseed supplies tight. Talk remains that Argentine growers will plant fewer beans as the government stall on it's promise to reduce export taxes. The Brazilian grower meanwhile is tempted by high domestic corn prices to also switch away from beans. That potentially leaves another year of a tightening world S&D situation as long as demand from China holds up. Sep 16 Soybeans settled at $10.34 1/4, down 1 cent; Nov 16 Soybeans settled at $10.13 1/2, down 2 1/4 cents; Sep 16 Soybean Meal settled at $332.40, down $1.80; Sep 16 Soybean Oil settled at 33.89, unchanged. Corn: The corn market closed around 4-5 cents lower. Fresh news was lacking. The USDA surprised the market with a small increase in crop ratings last night. The ProFarmer crop tour reports much better crops in Indiana and eastern Illinois than had been seen on day one. Rains continue in Delta, delaying harvest activity. Stats Canada estimated an 8.9% drop in 2016 Canadian corn production from last year at 12.3 MMT. 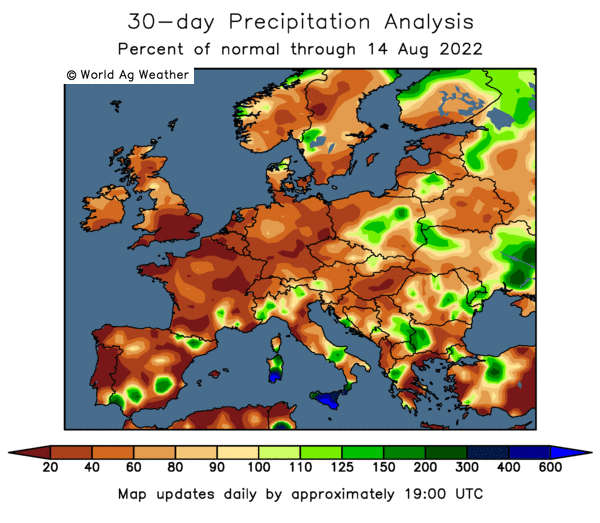 After all their problems with rain disrupting the wheat harvest, France is now experiencing a heatwave just as corn is pollinating, which may cut yields for that crop also. Temperatures in the coming week are expected to be between 2 and 6 degrees above average, say Reuters. Sep 16 Corn settled at $3.28 1/2, down 4 3/4 cents; Dec 16 Corn settled at $3.37 1/4, down 5 1/4 cents. Wheat: The wheat market closed lower across the board, with Minneapolis reversing the recent trend and coming off the worst of the three exchanges. That spring wheat market was under pressure from the news that Stats Canada was estimating the Canadian wheat crop at 30.5 MMT, up more than 10% on last year and the second largest crop in the last 25 years. Egypt passed on their wheat tender with no reason given. 11 bids were on the table. Jordan made no purchase in their 100 TMT wheat tender, and immediately re-issued for the same. Russia's wheat harvest is 61% done at 58.1 MMT. Final production estimates of 72 MMT "look attainable" said Agritel. They could yet finish up even higher than that. Russia is expecting very good exports August and September. Ukraine is likewise. Sep 16 CBOT Wheat settled at $4.07 3/4, down 7 1/2 cents; Sep 16 KCBT Wheat settled at $4.07 1/4, down 6 1/2 cents; Sep 16 MGEX Wheat settled at $5.15 3/4, down 16 1/4 cents. 23/08/16 -- EU grains closed mostly lower. London wheat was lower on the back of a slight improvement in sterling. At the close Nov 16 London wheat was down GBP2.00/tonne at GBP128.50/tonne, Sep 16 Paris wheat was EUR3.00/tonne lower to EUR156.00/tonne, Nov 16 Paris corn was down EUR1.00/tonne at EUR164.75/tonne, Nov 16 Paris rapeseed was unchanged at EUR378.00/tonne. This was the lowest close for front month Paris wheat since Jul 7. Egypt apparently cancelled a tender for wheat for Sep 21-30 shipment with no reason offered. 11 bids were submitted. Stats Canada estimated this year's Canadian wheat crop at 30.5 MMT, the second largest in recent years and up more than 10% on a year ago. That gave weight to the notion that the demise of the French crop this year is a "one off" and that there's plenty of wheat around elsewhere to make up the shortage. The Russian grain harvest is said to be 57% complete at 82.3 MMT, of which 58.1 MMT is wheat (61% harvested). The Ukraine early grain harvest is over at 37.9 MMT, with corn harvesting yet to begin. Ukraine analysts estimate final grain production at 62.7 MMT (60 MMT last year), of which 26 MMT will be wheat and 8.9 MMT barley. Grain exports are raised from 38.5 MMT to a record 40.7 MMT. Ukraine growers have already planted 304k ha of winter rapeseed, or 42% of the planned area, for the 2017 harvest, the Ministry say. Jordan made no purchase in their 100 TMT wheat tender, and immediately re-issued for the same. After all their problems with rain disrupting the wheat harvest, France is now experiencing a heatwave just as corn is pollinating, which may cut yields for that crop also. Temperatures in the coming week are expected to be between 2 and 6 degrees above average, say Reuters. 22/08/16 -- Soycomplex: Beans closed higher. The USDA reported 120,000 MT of soybeans sold for delivery to unknown destinations during the 2016/17 marketing year under the daily reporting system. Underlining the strong export demand theme were weekly export inspections of 961,414 MT, up nearly 20% from last week and 4.5 times larger than the same week a year ago. They also reported good to excellent crop conditions unchanged at 72% after the close (63% last year). They said that 89% of the crop is setting pods which is 4 points ahead of the 5-year average. The trade prefers to focus on the demand side of the coin rather than the potential record production side at the moment. Sep 16 Soybeans settled at $10.35 1/4, up 8 1/4 cents; Nov 16 Soybeans settled at $10.15 3/4, up 11 1/4 cents; Sep 16 Soybean Meal settled at $334.20, up $4.20; Sep 16 Soybean Oil settled at 33.89, down 25 points. Corn: The market closed a wee bit lower despite weekly export inspections of 1.249 MMT being up 6% from last week and up 29% vs the same week a year ago. Day one of the ProFarmer crop tour in Ohio and South Dakota saw lower yields than the USDA estimate, but that's what the trade expected. The USDA raised corn crop conditions one point in the good to excellent category to 75%. They said that 85% of the crop is at the dough stage (76% normally) and the the crop is 40% dented as opposed to 35% for the 5-year average. MARS lowered their forecast for the EU-28 average corn yield to 7.23 MT/ha from 7.42 MT/ha. Yields are seen sharply lower in some countries (eg Romania), but this is compensated for by significantly higher yields in others like Hungary. Sep 16 Corn settled at $3.33 1/4, down 1 cent; Dec 16 Corn settled at $3.42 1/2, down 1 1/4 cents. Wheat: The wheat market closed mixed with Minneapolis spring wheat again the firmest market. Weekly export inspections of 530,824 MT were OK, and about what the trade had in mind. Weekly crop progress has this year's US spring wheat crop 65% harvested against only 46% normally at this time. 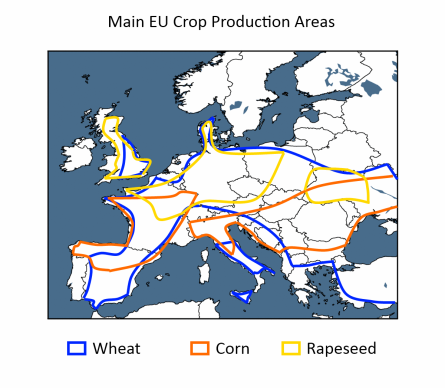 MARS lowered EU soft wheat yields from the 6.10 MT/ha estimated last month to 5.86 MT. 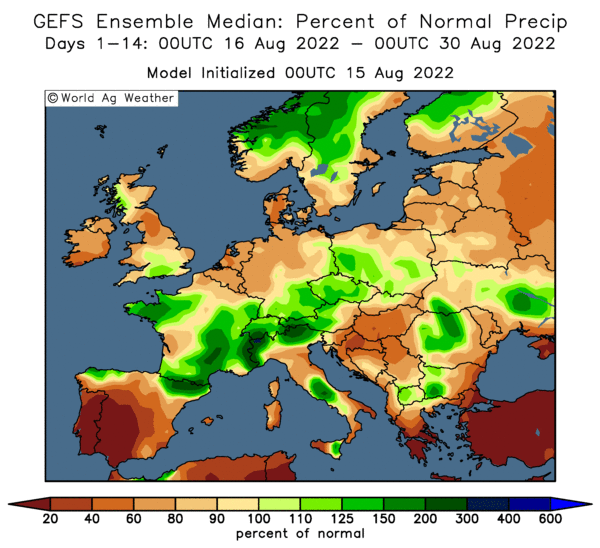 mainly down to an 11% cut for France "due to knock-on effects of large rainfall amounts, low radiation and consequent high disease pressure during late May and June." Russia's harvest is going well, producing a grain crop of over 80 MMT so far including 57.5 MMT of wheat. Russian seaports only exported 406.8 TMT of grains last week though, down from 716.6 TMT the previous week, according to APK Inform. Sep 16 CBOT Wheat settled at $4.15 1/4, down 11 3/4 cents; Sep 16 KCBT Wheat settled at $4.13 3/4, down 5 cents; Sep 16 MGEX Wheat settled at $5.32, up 1 1/4 cents. 22/08/16 -- EU grains finished mostly lower on the day amidst a general lack of fresh news. The pound was a bit firmer today, pressuring London wheat. The day ended with Nov 16 London down GBP1.50/tonne at GBP130.50/tonne, Sep 16 Paris wheat was EUR3.75/tonne lower at EUR159.00/tonne, Nov 16 corn was down EUR1.00/tonne at EUR165.75/tonne and Nov 16 rapeseed was unchanged at EUR378.00/tonne. MARS released their latest EU-28 crop yield forecasts, dropping soft wheat from 5.85 MT/ha to 5.63 MT/ha, some 3.9% down on last year but still slightly above the 5-year average. 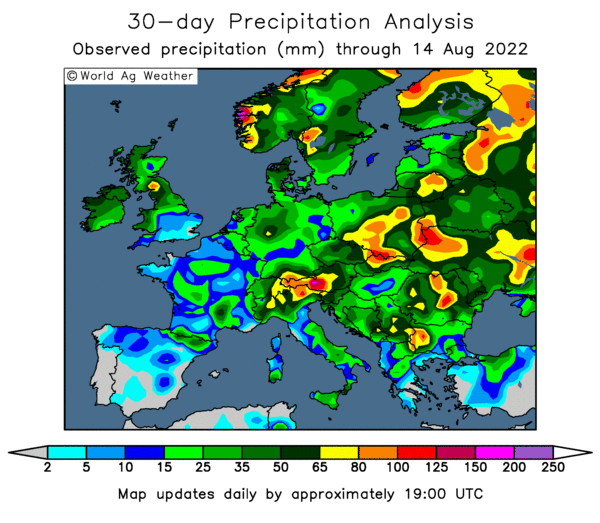 "This is mostly due to yield estimates for soft wheat in France being lowered by 11% compared to the July forecast due to knock-on effects of large rainfall amounts, low radiation and consequent high disease pressure during late May and June," they said. Corn yields were also lowered from 7.42 MT/ha to 7.23 MT/ha. "Exceptionally high maize yields are forecast for Hungary (+29.6% above the five-year average) but the forecast was lowered in Bulgaria and Romania where dry conditions compromised the maize yield potential," they added. Private forecasts see the French corn crop at around 13.0-13.5 MMT this year, similar to last year. Germany's crop is seen down 7% and Romania's 15% lower. This will be compensated for however by the sharp rise in Hungary already noted, plus a 33% jump in Polish output. 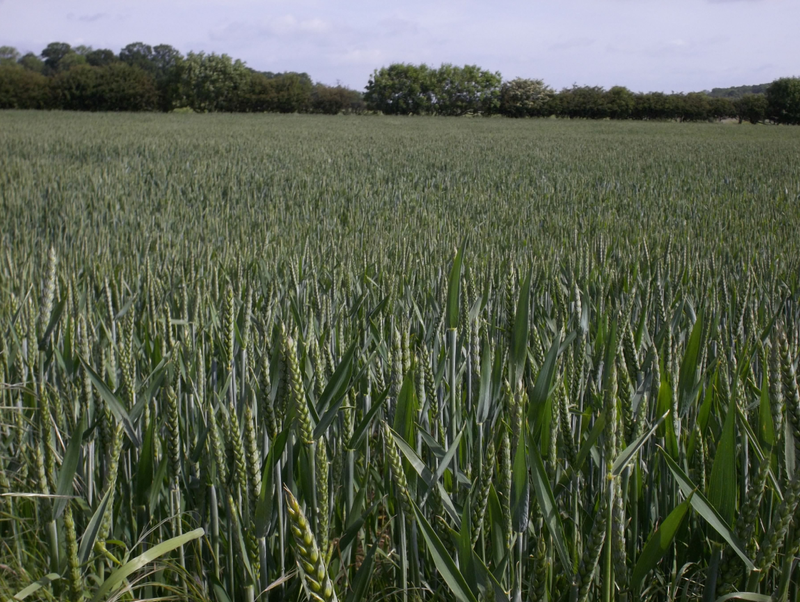 MARS forecast UK wheat yields at 8.08 MT/ha, down a smidgen from last month and 10% lower year-on-year. The HGCA currently see them at 7.8-8.0 MT/ha, but things could improve as the harvest progresses in the north. The Russian grain harvest now stands at 80.7 MMT, of which wheat accounts for 57.5 MMT, according to the Ag Ministry there. APK Inform say that Russian grain exports via seaports fell to 406.8 TMT last week (715.6 TMT the previous week), including 393.8 TMT of wheat. Ukraine's seaports exported 647.7 TMT of grains last week (660.1 TMT the previous week), including 499.5 TMT of wheat, they add.